These imposing sea stacks are hidden from view as you walk towards the cliff edge. On this day, strong winds and the sudden "reveal" combined to make a truly breathtaking moment. 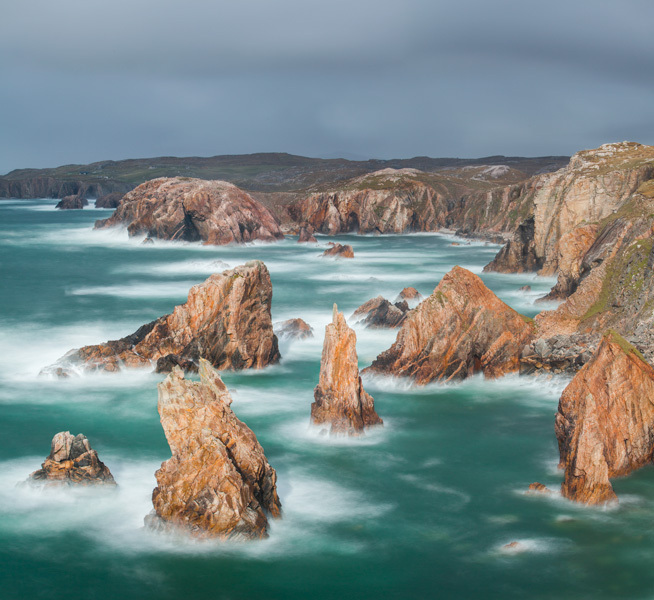 A long exposure rendered the surging ocean into looking like candy floss in contrast to the impressive solidness of the stacks.